Once called Dentville, this picturesque mining center and trading post was founded in 1849. An early ferry carried Argonauts on their way to the southern mines. The rare wooden bridge, reportedly designed by U.S. Grant, the brother-in-law of the Dent brothers, and the old flour mill were built there in 1854. 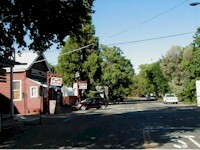 The town served as the county seat from 1862 to 1872. 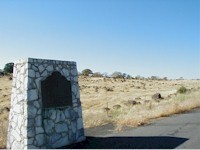 The offical state marker plaques are located along Highway 120, a short drive from Knight's Ferry. 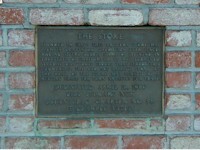 A small plaque commemorates the local general store, which has been in continous operation since 1852.